In the period from 1919 to 1923 the Carnegie Institution of Washington, D.C. published the monograph The Cactaceae - Descriptions and Illustrations of Plants of the Cactus Family. This four-volume work, written by Nathaniel Lord Britton and Joseph Nelson Rose, set new standards in cactus botany with meticulous diagnoses based on greenhouse and herbaria studies and years of field work. The four volumes are illustrated by photographs, drawings and color plates with the delicate artwork of Mary Eaton. In the beginning of the 20th century, cactus taxonomy was a chaos with few but huge genera (in 1903 Schumann recognized about 800 species, which he grouped under 20 very heterogeneous genera). 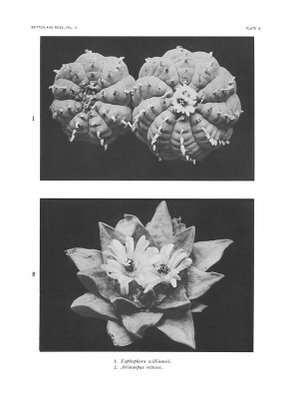 Rose and Britton fragmented this antiquated system of “collective genera” into many, more refined genera (The Cactaceae describes 1255 species under 124 genera). As a rule, the genera were founded on characters of flowers and fruit, combined with vegetative characters and geographical distribution. The only edition of The Cactaceae - Descriptions and Illustrations of Plants of the Cactus Family available to the general public has for years been the black and white reprint from Dover Publications, but now the original first edition with color plates is being made available in digital form. At the time of writing volume 1 through 3 can be downloaded from Au Cactus Francophone along with other interesting material that are rarely seen by cactophiles (the Britton and Rose files are also available from the Carnegie Institution). The Cactaceae is a classic – go get it! The two plates depicting Lophophora are included below. 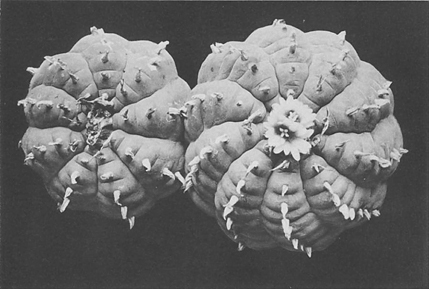 A. Berger (1924), “Book Reviews: The Cactaceae. 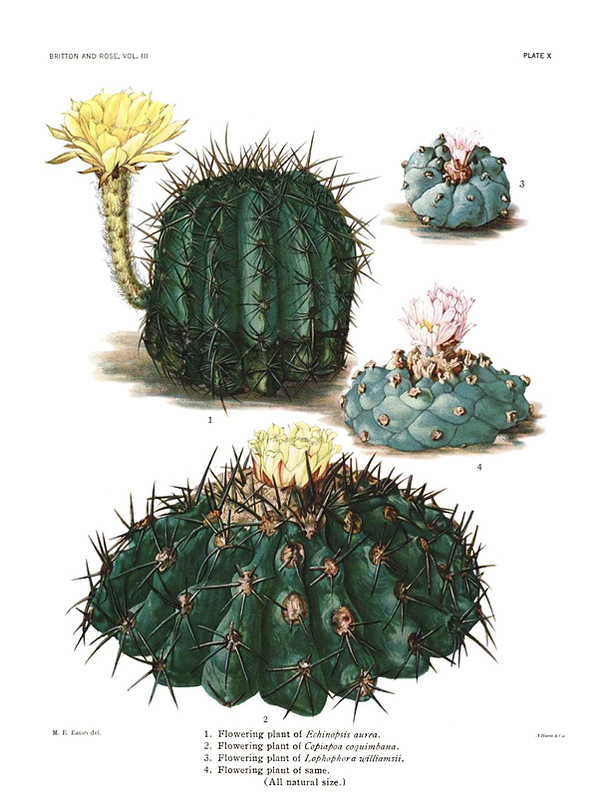 Descriptions and Illustrations of Plants of the Cactus Family”, Botanical Gazette, Vol. 77, No. 4, pp. 454-458. 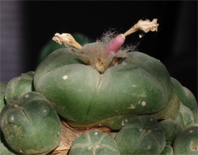 As of March 2, 2007 all four volumes of The Cactaceae are available from Au Cactus Francophone.